If you're a pale girl like me, you know that finding a bronzer that doesn't make you look like a Jersey Shore cast member, can be extremely difficult to find. On top of that, finding one that is matte is almost impossible. 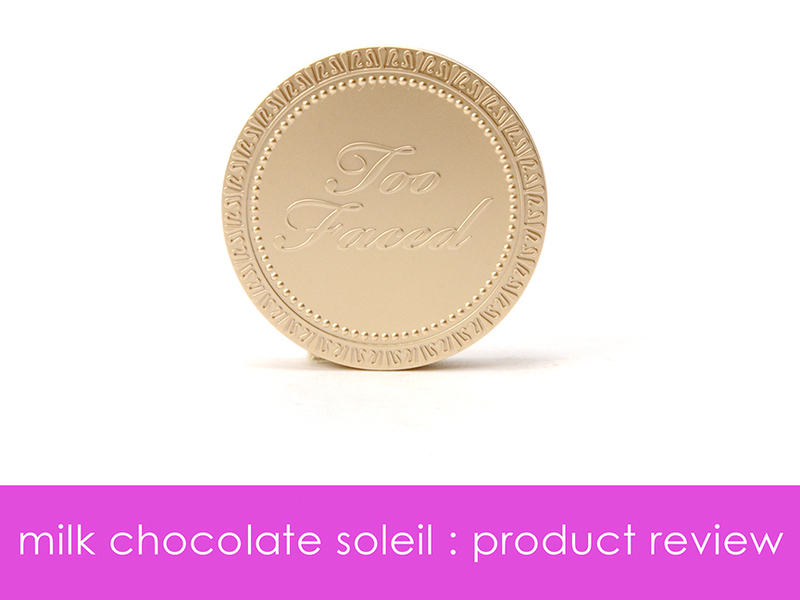 When I first read about Milk Chocolate Soleil by Too Faced, I was a bit skeptical, but now that I've had it for a while, I can give you my full opinion on it. Keep reading to see what I think about this bronzer. I bought this primarily for contouring purposes, but obviously, I can also use it as a normal bronzer. Now that I've had it for a while, I find that I actually use this more often as a bronzer than a contour and here's why: base tone. Even though this is a light/medium matte bronzer, I still find that it was a little bit of orange in it, which makes it difficult to truly build as a bronzer on my skin. Granted, I'm extremely pale; not the palest but I pretty much use the lightest shade of foundation in most lines. A lot of foundations look orange on me (or just too pink), so the fact that this looks a bit orange when I try to build it does not surprise me. I don't want you to think that I don't like this bronzer due to the reason above, because I actually love this bronzer. 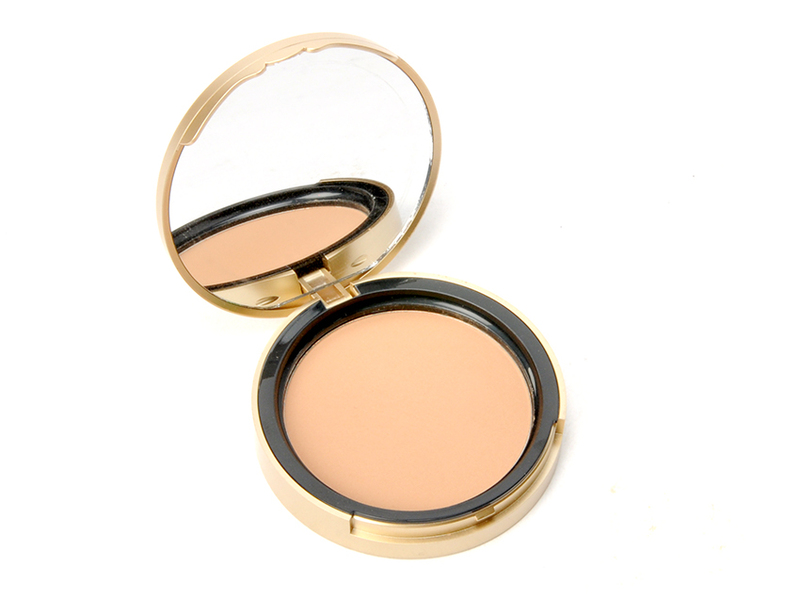 A little orange in bronzer in perfectly fine, it's part of what warms up your skin and gives you a glow. When I use this in moderation (aka not trying to do heavy contouring), it looks really lovely and natural. You may have noticed that in the last few tutorials I've done, I've used this as a light contour and bronzer. I absolutely love using this to warm my face up a bit and now that it's spring, I will probably use this every day. For contouring, I'll probably stick to using a powder that's just meant for a darker skin tone, but for really light contouring and bronzing, this will be my new go to. On top of being really well suited for pale folk, it also smells like chocolate. It literally contains cacao powder which helps give it that scent (among some other things, I'm sure, I don't know what else in the ingredient list might help give it that scent). 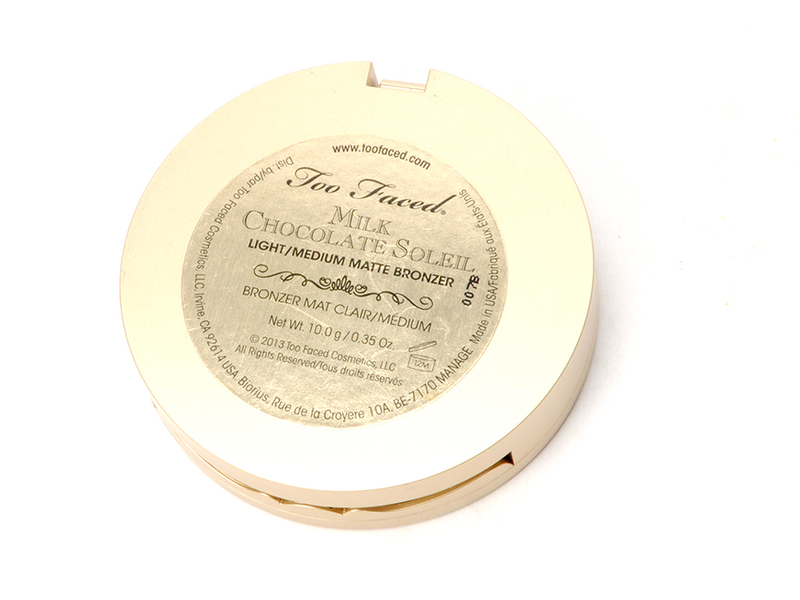 If you have medium skin, I would definitely suggest the original version of this, which is simply called Chocolate Soleil. It is an expensive product ringing in at $30, but unless you cover your face in bronzer every day, this should last you a long time and it's good quality. It stays on your skin and it doesn't oxidize during the day. Do any of you own this? Let me know what you think of it down below!